Today we celebrate St. Patrick’s Day here at Sip Advisor headquarters. 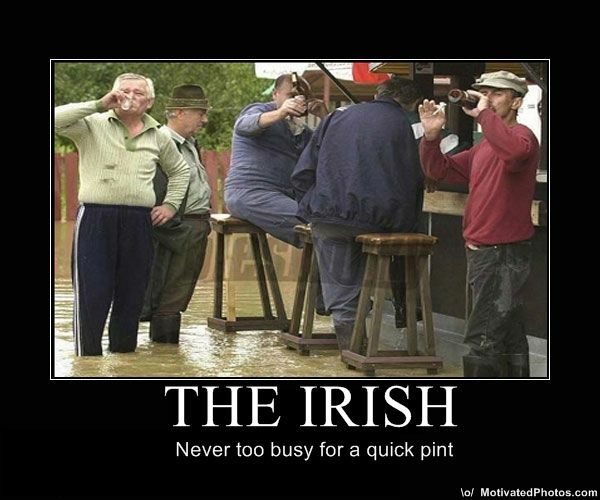 What better way to do so than follow a little bit of Irish wisdom (aside from drinking a lot of Irish beer of course)? The Irish are full of great sayings and that’s one of the many endearing qualities we love about them. 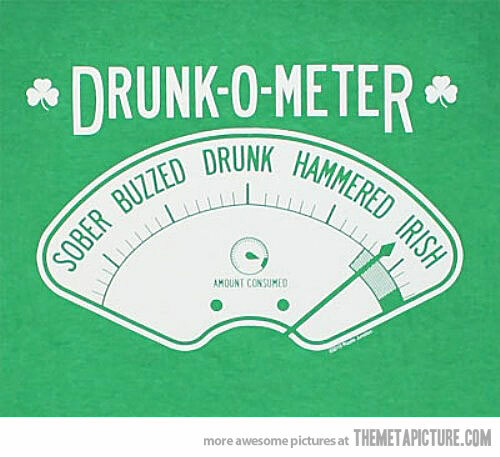 Being drunken fighters is another high value trait for the Leprechaun people, as well. In fact, what I just said will probably get me into one of those drunken fights… BRING IT ON! What a great piece of advice! I talk behind people’s backs all the time… but it’s only because I like to whisper in their ears and surprise them! Regular readers know that The Sip Advisor is a huge backer of felines. I’m also a staunch supporter of the Irish, so I’m very happy to see that they feel the same way I do about kitties. If only we could all share some drinks together without it being labeled animal abuse… and I’m talking about drinking with the Irish! I’m not sure about this one. Simple arithmetic shows that one is much less than 50. Plus, if they’re already inside, then you know their whereabouts when you want to bash them with a shillelagh! I don’t think I could ever lead a double life. I’m already such a burden in my original existence, two of me would just be torture. I hate giving advice. I find, more often than not, that when someone solicits your guidance on a subject, they don’t even do what you tell them. I now charge for my counsel (much like a lawyer would) and that will hopefully result in good returns for me, regardless of how errant my advice turns out to be. While this may be true, it assumes that the Irish have any interest in ruling the world. It is so nice to see mouthpieces get their comeuppance every now and again. You know, those loudmouths (blog writers!) who spout off to anyone in his proximity until finally someone takes issue with what he is saying and makes him eat some teeth. It’s especially memorable when it’s a little guy taking down a big dude. Aside from the fact that this quote is most commonly quoted by high school girls, dancing and singing are two or The Sip Advisor’s worst performing arts. How about we play sports like there’s no one in the audience (my regular beer league hockey experience) and we drink like bottles are infinite. I know the Irish are down with that. Amen to this statement. You only have so many good friends throughout your life. Now let’s all share a drink to commemorate how lucky we are that we found each other! I’d like to close today’s post with my own Irish blessing: May your beers of green be wonderful on this holiest of days and may you wake up tomorrow ready to go again! 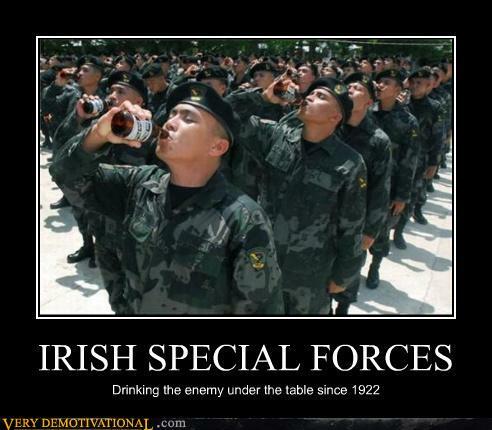 While slamming drinks down might not be for everyone, I do like the Irish Car Bomb. And really, you have to drink this one fast or else the Irish Crème will curdle and you won’t be having very much fun at all. 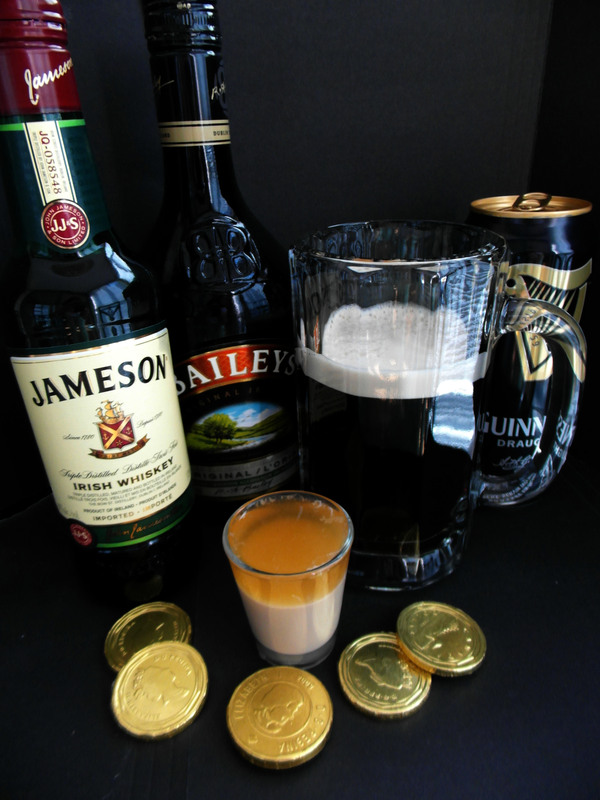 This entry was posted in Beer Cocktails, Holiday Cocktails and tagged Bailey’s Irish Crème, beer league hockey, cats, cocktail, friendship, gossip, Guinness Stout Beer, Irish Car Bomb, Irish sayings, Jameson Irish Whiskey, shillelagh by Daniel Wilson. Bookmark the permalink.